In May 2014 the pews were removed from St Laurence Parish Church, Stroud, in what was the first stage of a project to redevelop the church. Since then, a project team has been working on the next phase which included the public launch of the ‘St Laurence: The Future’ project over the weekend of 7-9 October 2016. 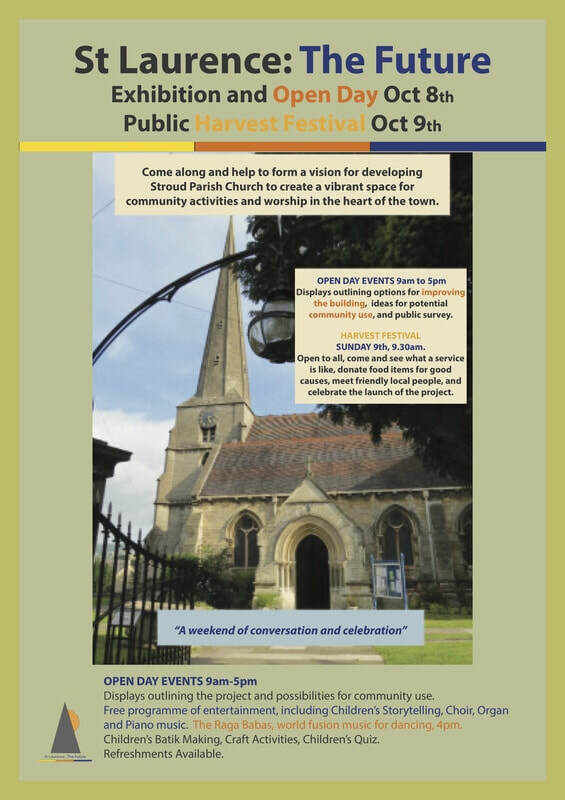 The aim of the launch weekend was to engage with the wider Stroud community to discuss plans and gain the views of local people and organisations as to how they would like to see the church building used and developed, and how this could be funded. 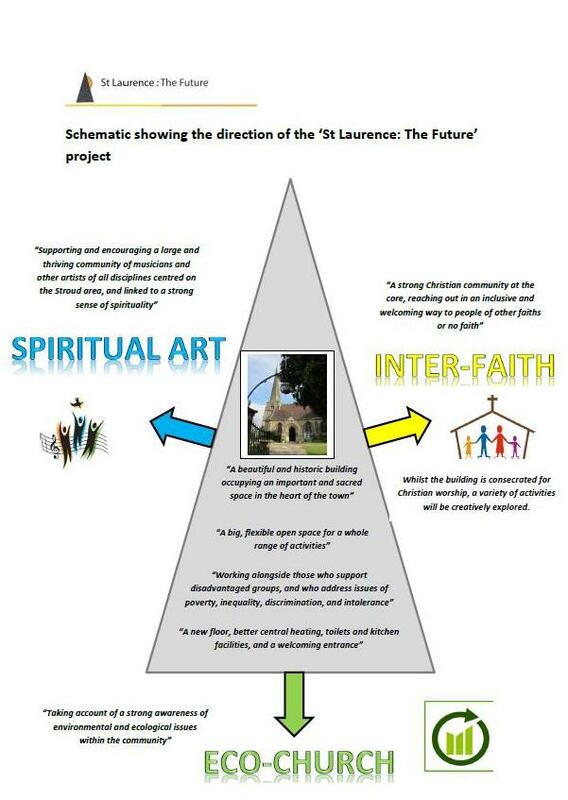 ​The St Laurence: The Future project was launched over the weekend of 7-9 October 2016. The weekend was a great success, with over 500 people coming into the church to enjoy the activities and give us their ideas and thoughts about how the building could be used and developed. More than a fifth of our visitors completed a survey about the church. Thank you to everyone who came to enjoy the space and tell us what you thought! ​Since then, we have continued to engage with the wider community of Stroud, and have had lots of excellent ideas and feedback. We have translated this feedback into a development model which sees a thriving Christian community at the core of an active church, reaching out to engage with issues of interfaith dialogue, supporting spiritual art, and taking account of environmental and ecological concerns ('Eco-Church'). 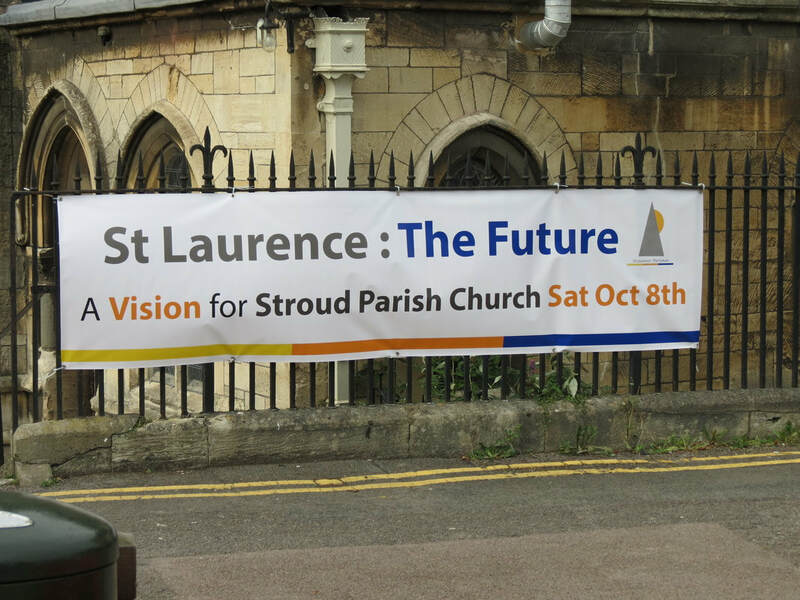 ​​The project team is actively engaged in turning these ideas into reality, and making St Laurence Parish Church a vibrant and thriving centre for the whole of Stroud.